This weekend I woke up early on Saturday with a mission: seek out fresh figs at the farmers’ market. I honestly didn’t even know they could grow in Indiana, so I was thrilled when I saw a couple of friends post photos of some they’d snagged at the market. I got downtown a little before 9 a.m. Saturday to start my search and quickly came upon a stand selling small boxes of 8-10 figs for $4. I happily forked over my cash after poking the figs to make sure they were ripe. I also grabbed a loaf of sesame spelt bread from Muddy Fork Bakery before rushing home to make breakfast with my market finds. 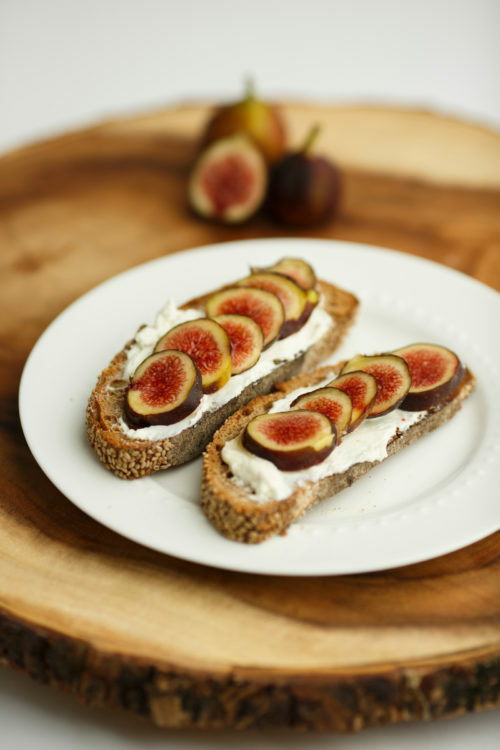 While they’re delicious on their own, I love pairing figs with a few other simple ingredients to make them the star of a meal. I made this toast using my market finds and two ingredients I already had at home: whipped cream cheese and local honey. It was such an easy breakfast to throw together, but tasted so sophisticated. 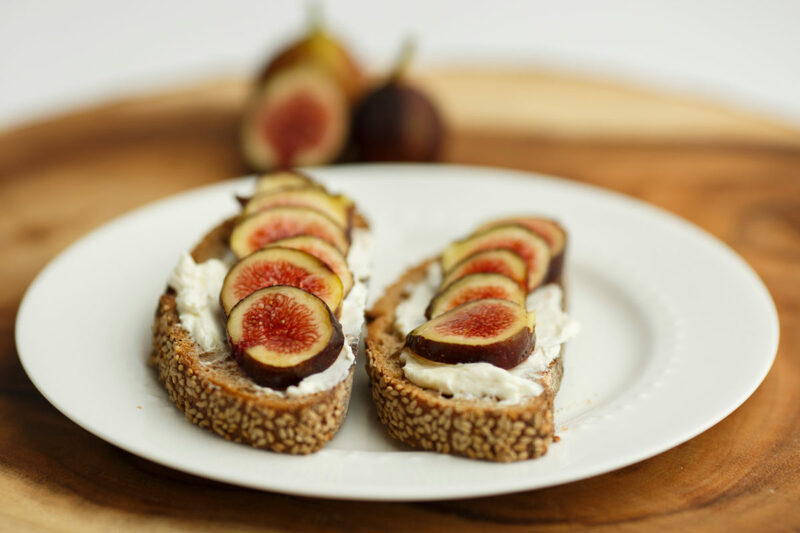 Because fresh figs are so hard to find here, eating them feels like a special occasion. And by the time I’d finished my toast Saturday morning, I experienced instant feelings of regret for not buying more than one box. The figs were heavenly and I’m already planning my week around hunting down some more. Until then, I’ll be dreaming about this toast. Toast bread until golden brown in toaster oven or toaster. Spread each slice of toast with 1 Tbsp. cheese, 2 sliced figs and drizzle each with 1/2 tsp. honey. Enjoy while warm.